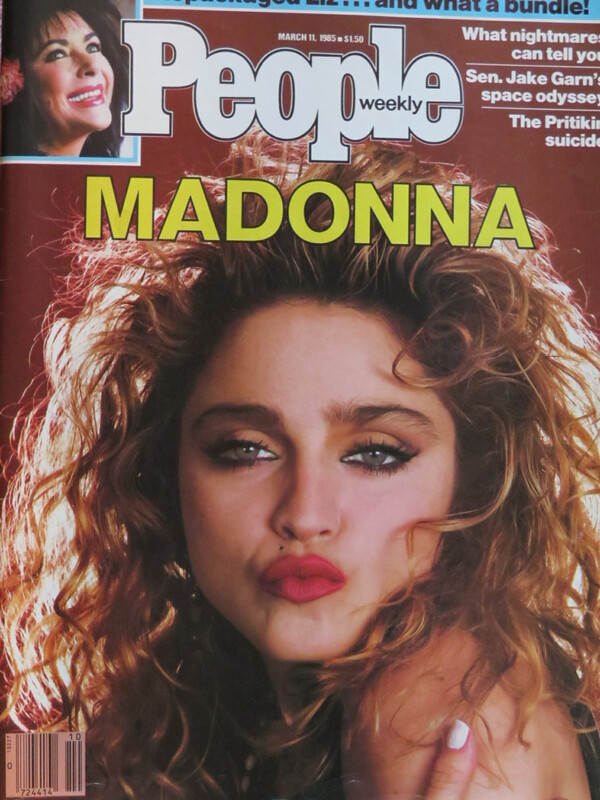 Clearly, I was mad about Madonna — but mad enough to save an issue of People? In the previous post, I opened up what can only be considered my personal time capsule, a set of crates that held objects from my past. The last post ended with a reference to a list of songs scribbled on a piece of paper . . . Some of the song names had been crossed out, so I think I must have been able to record them from the radio and onto a cassette — remember those? 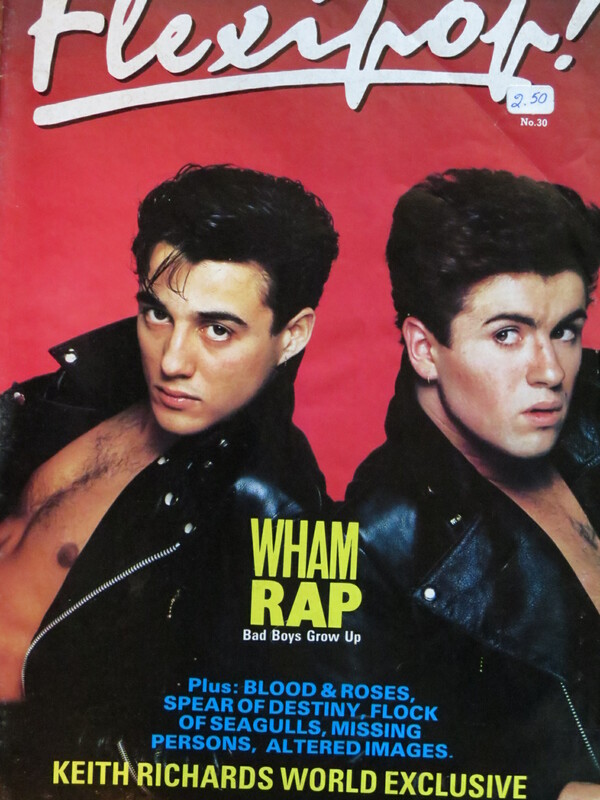 The photos on this post should give you an idea of what I listened to, but if you’d like more – here we go: Soft Cell, The Clash, The Ramones, Depeche Mode, Spandau Ballet, Romeo Void, Stray Cats, Adam & the Ants, Joan Jett, Duran Duran, Lene Lovich, Bananarama, Fun Boy 3 — and so many more. I walked a fine line between the New Wave and Punk genres, with a definite leaning toward all bands British. Then there were the letters and cards – so many written words from a time when people actually wrote and mailed letters. I had to wonder what would possess me to hold on to all of this correspondence and as I reread them, I was struck by the energy and passion of the writers as they – we – were all on the verge of stepping into adulthood, all eager to make a difference, to have an impact on the world. I admit that I could not remember some of the writers, and this made me quite sad. If I couldn’t remember them, could they remember me? Did they save my letters to them? I’m sure at the time there was meaning, but the years have erased that – but that in no way diminishes the brief cameo appearance they played in my life. But the letters from people I have clear memories of – some of whom I still speak with to this day – brought smiles and laughter. Many of the letters made reference to relationship issues – theirs or mine – and what seemed so tremendous then seems so trivial now. The letters made me think of the students whom I currently counsel, many of whom face the same “huge” issues. You know, the issues that make us scratch our adult heads in wonder and say, “Really? This is what has you upset?” But you know, the issues should be huge for them. They don’t have years of life experience to teach them otherwise; it’s all part of the learning and maturing process. I wonder what George Michael would think if he looked into his own time capsule. At the end of the day, it was time to wrap up my walk down memory lane. Should I pack up everything again and put it all away, back into the bunker? Or was it better to do a little weeding? As gardeners, take a guess. I decided to donate the books – to plant seeds for someone else’s garden. Marilyn was there for me when I needed her, and I will always remember her for that. Maybe some other confused adolescent will be able to discover her through the books. As for the music, well, I will always love ‘80s music. Many of it exists on my iPod, and each time I listen to it, I am whisked back to a local club, dancing under flashing lights. And although my knees can no longer take the pounding of ‘80s dancing, I can still bop. I chose to burn the letters. Their sentiments reside firmly inside of me – and it’s time that that part of my life gets a chance to rest. There’s no longer a need to go back and dig up the past. It happened – and I am glad that it did so that I can be who I am today. Many times, I forget that I’m nearing fifty. In my mind, I’m still twenty. And then I see my middle-aged reflection in a window, sunlight turning my gray hair into a halo. In the mornings, there are more aches and pains. In the evenings, if I want to go to club, I have to take a nap. If I make it to that club, I’ll complain about the electronically enhanced stuff that is said to be music and wish for the way things used to be. What remains, though, is that passion to do something, to make a difference, to step out into the world as an adult — I’m still not there. That was one of the influences that pushed me to start this blog. And after getting to know so many of you, I have a feeling that it’s that same energy that pushes all of you to dig in the dirt and make life bloom. Would you want to be twenty again? How about if you could go back knowing what you now know? And, oh no, I would not want to be 20 again!! What an honest, thoughtful post. I was anxious to see just how in heaven’s name you were going to bring this back to gardening, and you did, beautifully. 🙂 Oh, and the 80’s play list…I now recall a Depeche Mode concert at Jones Beach back in the day with you guys. Funny, I don’t feel much more grown up now either. Yes, the body hurts, but the mind still dances ’til dawn! Would ONLY go back to my twenties if I could take my current knowledge with me– even just half of it. Interesting post. You had great musical taste. No wonder I like you!! Mario!! The only thing I miss about twenty is my energy level and my waist size. 🙂 If we ever meet face to face, I’ll bring my records over. Ah, you! What a fine post. I loved the line “and it’s time that part of my life gets a chance to rest.” Sounds like some perfect decade-change preparation. I will be 60 in February, and feel more zest now than I have in 20 years. There’s so much freedom in letting go. Back to twenty? Not on your life! I so agree with Kat (above). Hi Cheryl. I think what keeps me feeling twenty is being able to play and finding activities that give me the same feelings I had when I was twenty. Let’s keep on playing! Great post! I’m not there yet, either, and I am over a decade ahead of you. Would I go back to my twenties? In many ways I still feel like I am twenty, inside. So not exactly, though I would like to have my twenties body back and maybe a few of those brain cells I lost along the way! I turned 60 in August, so have been contemplating many of these issues as well. I feel that I am about thirty, inside. The mirror argues with that assessment, of course, as do my aching bones some mornings. Going back to twenty might be interesting if I could use the knowledge and experience I’ve gained since then, to try to do it better. Only then. Thanks for a thoughtful post! Oh, I love Depeche Mode, Stray Cats & Joan Jett! You bet I would want to go back to being 20, knowing what I know now. I would tell a lot of people to take a hike, and I would keep in touch with a lot of others. I would save money every week, no matter how little I could afford to save. I would never have married that first guy! I would have been a lot nicer to my parents during my teen years, and I would have stayed in school until I had a doctorate. Don’t get me wrong, I’m very happy now…but I love life, and given the chance for more, I would most certainly take it! Great post! You are a very talented writer! Pingback: Weekly Photo Challenge: Mine | Travel. Garden. Eat. I am very flattered. Cheers! Madge looks so young in that photo! OMG! I cannot believe it. I can still remember attending her Who’s That Girl Tour at Foxboro Stadium and believe it or not, I still have the concert T-shirt. That’s awesome! Ahhh the 80s. My iPhone and iPod are full of 80s songs… I rarely listen to the current stuff. Of course I don’t feel old until my 12 and 15 year old start talking about ‘old people’ and I realize they are referring to people my age, 48! Those sweet little monsters! Kids definitely make you feel young and old at the same time! My favorite Madonna song is Borderline, and even my kids agree that the 80’s music is really good! It’s raining here today so I am inside not out. Just finished listening to my 80’s Playlist: Don’t Go by Yaz, 867-5309/Jenny by Tommy Tutone, Goody Two Shoes by Adam Ant and Wonderful Life by Black. Love that music…..
It’s so nice to pull out a bit of our past once in awhile. Glad you finally opened your boxes and shared with us. Did you listen to a bit of Madonna while reading your letters? LOL. I think a future post may be a series of playlists — and Madonna will be prominently featured. It’s very difficult to pick just one of her songs.